Exactly eight days ago, Paschal Eronmose Ojezele was unveiled as the 2012 Gulder Ultimate Man at a grand reveal party at the Le Meridien Hotel, Uyo, Akwa Ibom State. Paschal who is from Edo State is a 24 year-old Applied Mathematics undergraduate of University of Benin. The previous day, on what was the last day in the Usaka jungle (Akwa Ibom State), there were four warriors remaining: Paschal, Onyinye Udodi, James Adah and Nuhu Zigwayi. They had been instructed to converge at the mouth of the fire bridge. They travelled on for several hours to the day’s several challenges. The first challenge was to solve a riddle and retrieve pieces of a map. Paschal who seemed to be highly inspired on that last day was the first to solve the riddle followed by Onyinye. Nuhu and James solved the riddle simultaneously but James got the last piece of the map and that marked the end of the road for Nuhu. The three remaining warriors then put the map pieces together to proceed to the next challenge which was to fill in the blank spaces of a puzzle. The clues to the puzzle had been around them throughout their time in the jungle. Again, Paschal was the first to solve the puzzle followed by Onyinye. James was out. Onyinye and Paschal were now to search for the gatekeeper’s fortune using the puzzle: “From where you draw your liquid of life, that is where you start your final stride. Run along the path of green and stone, and where you lay your head, you call your home, the treasures sleeps deep rooted within your soul; deeper than the bamboo that grows ever so low”. So they both raced to places they’ve slept throughout their time in the jungle. Onyinye first rushed to the sleeping area, lifted the mat and hurriedly rushed off to another old camp. That same spot, Paschal chose to dig and he struck gold: the gate keeper’s fortune hidden in a heavily protected box. Onyinye wasn’t too happy understandably especially because she was the first to check that spot. Her haste and anxiety cost her what would have made her the first woman to win the Gulder Ultimate Search. Paschal’s prize: N9 million, N500, 000 swagger allowance and a brand new 2012 SUV. With Uzo Osimkpa’s eviction the week before, 23 year old UNN graduate Onyinye Priscilla Udodi became The Last Girl Standing. And for that, she’ll get N1million plus an additional N3million she won for finishing second. Onyinye in spite of all that hair (and being the former Face Of Anambra State) has a competitive streak. I only noticed this during the task where two teams of three warriors had to push two chariots. Onyinye was in one truck while Uzo was in the other truck. 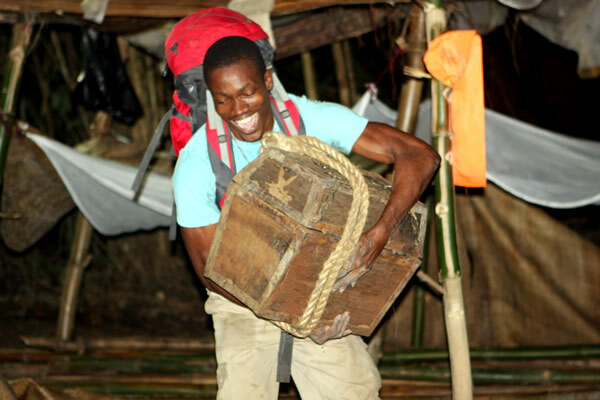 Even though Uzo’s group was ahead, Onyinye’s group won the task with significant help from her. Throughout the task, she talked non-stop: pushy at some points, encouraging at other times. She’s obviously a very determined person. Although it’s now a moot point, I doubt that Uzo would’ve been able to beat Onyinye in an open contest anyway. And as we now know, Onyinye nearly became the ultimate woman. One definition says an activist is “one who acts upon their beliefs”. Another calls an activist “a person who is passionate about what they believe in and helps educate other people about the subject at hand” .There are indeed many definitions of who or what an activist is and if you add the now infamous ‘Nigerian factor’, you’ll have an even more interesting picture. And we can safely say we’ve had activists here who gave activism a good name. However like most things, the romantic notion of activism as selfless pursuit of right over wrong is fast giving way to an avenue to ‘make it’ or ‘breakthrough’ and there’s a boom right now albeit for all the wrong reasons. This ‘emergency activism’ trend actually became very popular between 2007 and 2011 especially in newspapers. Various strange groups ran ad after ad; just to hurl insults at anyone not in agreement regardless of how ludicrous their claims were. These were faceless groups, with the names that sounded like they were formed on the way to the newspaper houses. Well, emergency activists are back on TV and they’re more active on a.m Television. Almost every morning on AIT (Focus Nigeria), Channels (Sunrise), etc., they are on air pretending to be objective analysts and experts. They’ll stand logic (even common sense) on its head. Let’s not talk about the truth because as we know in Nigeria truth changes depending on whom it concerns. To make matters worse, the journalist who is supposed to be a neutral arbiter, who should play the devil’s advocate, is not always up to that task for whatever reason. Anyone can get on TV and make all kinds of spurious claims. Someone can say something as incredulous as the June 12 election and/or annulment never happened. Almost like what’s happening with Chinua Achebe’s There Was A Country. We’ll soon be told there was never a war or over two million people didn’t really die. Or perhaps the Igbos famed for their love of ego, made money from it all. But I digress. It doesn’t really matter why people are on TV but presenter/ hosts have a duty to ask intelligent questions from guests. Back in the day, efforts would be made to have all sides present when an issue was going to be discussed. And even if you’re doing a hatchet job, you don’t have to be so obvious. The point must be made that the guys on Sunrise (Channels) generally try to do a professional job. The Aig Imoukhuede and Ribadu Reports are the biggest issues on TV at the moment and ‘activists’ are coming out of the woodwork, falling over themselves to shred the reports to pieces. I watched two men on AIT (Focus Nigeria) Monday November 5 taking pot shots at Aig Imoukhuede himself while recycling well worn ‘facts’ that have since been disproved. 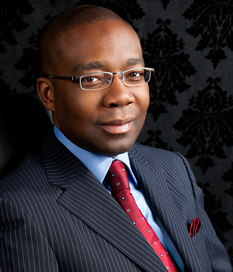 One of them, a Mr Adeboro, who was described as a human rights activist went on to spin this rather ingenuous African tale about how cows (Access Bank) attempt to swallow elephants (Capital Oil), how it was Access Bank’s bid to take over Capital Oil (its client) that led to the fraud allegations against Capital Oil, bla, bla. No one raised the substantive issue of what Capital Oil was accused of. How ships that supposedly brought in oil were either not anywhere near African waters ‘talk less’ of being in Nigeria or perhaps said ships didn’t even exist. Still, those accused must be prosecuted. They have a right to fight legally to prove their innocence. 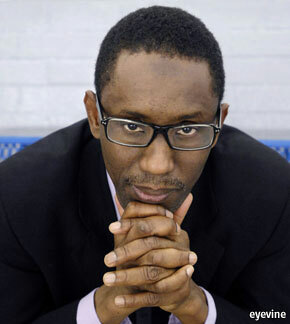 But I bet there are millions of Nigerians who’d choose Ribadu over many people in government. So, it’s time for our government to ‘give a damn’ and walk its talk. Transparency and transformation no be for mouth.